We have a great team of people helping to spread the news of what the CCF is doing. Meet our staff team, board of directors and patrons here. Prior to leading the Conservative Christian Fellowship, Gareth was Policy Advisor for the Salvation Army. Gareth served as Deputy Chair for Vauxhall Constituency Conservative Association and stood twice as a local election candidate in Lambeth. He attends St Mark's Battersea Rise and was a Trustee of the South London Relief in Sickness Fund. Israel joined the CCF Team in 2018 and works part-time as their Events Coordinator. Israel worked internationally in the creative industries before setting up a design and consulting business. Israel is an experienced Councillor and graduate of the Impact leadership development course. Jim is in early stage investment encouraging economic growth and social stability. He is a board member for several Christian charities covering homelessness, employability, eating disorders, and online advocacy for the Gospel. Jim works largely in Eastern Europe helping to create jobs so people can look after their families, pay taxes as responsible citizens, and support their local churches. Simon Day is the Conservative Party's Chief Financial Officer and Chief of Staff to the Party Treasurer. He has responsibility for the financial management of the Party and oversees the Treasurers, Finance, Commercial and HR Departments. He is part of the Conservative Campaign Headquarters (CCHQ) Executive Management Team. Jeremy Lefroy was elected as the MP for Stafford in May 2010. Jeremy is a member of the Common's International Development Select Committee. He is a co-founder and trustee of the charity Equity for Africa and serves as a non-executive director of the fair trade company Twin. He is a Trustee and supporter of Stafford Works, a charity that seeks to tackle unemployment. Robin worked internationally as an engineer before starting a business focused on transforming local government. Robin is an approved Parliamentary Candidate, an experienced Councillor and former Mayor of Newmarket. He led the Home of Horse Racing project, co-founded the Newmarket Festival CIC and initiated the successful "Let's Read!" campaign in Newmarket schools. Clare is a local Councillor in Enfield and is part of Restore Community Church. As well as being on the Conservative Approved Candidates list, her background is in charities and social enterprises particularly at a community level. Anna has worked in politics since 2010. She co-founded and led two Christian networks; the International Justice Forum and the Women in Leadership Network London. These networks unify Christians around the common causes of supporting members in their vocation in international justice and supporting young women who are entering positions of leadership across a variety of sectors. Since graduating in Philosophy, Imogen spent three years as a Parliamentary Assistant where she played an instrumental role in a number of successful campaigns achieving legislative change. Imogen was awarded a distinction for her Masters in Political Philosophy and continues to contribute to Philosophy networks. Ranil attended local schools in Hampshire, before the LSE and, more recently, the Royal College of Defence Studies. He lives in Bramley, with his wife Alison and two daughters. After his election in 2015, Ranil was elected to the Home Affairs Committee and the International Trade Committee too. Johnny works as Chief of Staff to a Conservative MP, and has worked in Parliament since 2012. Johnny is an active member of his church, including leading a community group. In his time in Parliament, Johnny has worked across areas of family policy, international human rights, alcohol harm, human dignity, and education. Johnny also co-hosts a non-partisan podcast on Christianity and politics. Hannah is a local councillor in Basingstoke and Deane where she is Portfolio Holder for Digital Innovation and Inclusion. She is a certified Occupational Therapist and has specialised in Assistive Technology. She currently manages a team who use engineering and technology to support the independence of severely disabled children and young adults. Martin served 26 years as a councillor, including six years as the Cabinet Member for Environmental Services. Martin was elected as Member of Parliament for the constituency of Cleethorpes in May 2010. In July 2013, he was elected to the Transport Select Committee and served on it until May 2018 when he became a member of the Health and Social Care Committee. Elected in 2015, Cllr Alex Yip JP is the Shadow Cabinet Member for Children’s Well-being in Birmingham City Council, a local magistrate, school governor of a special needs school and a self-employed businessman. He is a champion for mental health awareness and special education needs issues. Desmond Swayne was born in 1956 and was educated at Bedford School and St Andrews University. He was a School Master from 1981 to 1987 and a Manager with the Royal Bank of Scotland from 1987 to 1997 when he was elected to Parliament for the New Forest West constituency. Dominic Grieve was first elected as MP for Beaconsfield in 1997, entering Parliament from a career as a barrister. After the General Election of 2010 he was appointed a Privy Councillor and Attorney General holding that office until July 2014. 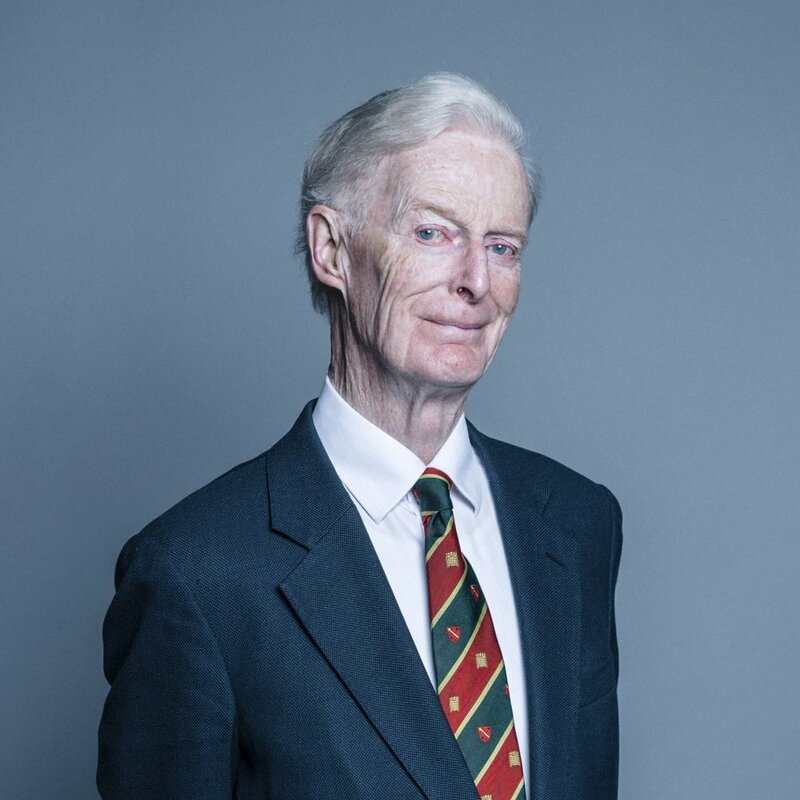 In September 2015, Mr Grieve was elected Chairman of the Intelligence and Security Committee. Fiona was first elected as Member of Parliament for the Congleton Constituency in 2010.Prior to entering Parliament Fiona Bruce practised as a solicitor and was national winner of the business woman of the year award. She has passionately led calls in Parliament for more support to strengthen family life. Jonathan Evans was born in Tredegar, Monmouthshire in 1950. He was educated at Lewis School Pengam, Howardian High School, Cardiff and the Law Society's Colleges of Law in Guildford and London. Murdo Fraser was born in Inverness in 1965 and educated at Inverness Royal Academy and thereafter at Aberdeen University, where he studied law. He has since worked as a solicitor in Aberdeen and Edinburgh and prior to his election to the Scottish Parliament was an associate with Ketchen and Stevens WS in Edinburgh. Julian Brazier is a former Member of Parliament for Canterbury and Whitstable. He was educated at Wellington College and won a scholarship in Mathematics to Oxford University. Julian worked for nine years with Charter Consolidated plc. Jonathan was a founder member of the original CCF council of reference. He was a Philosophy, Politics & Economics student and member of the Oxford University Conservative Association. Jonathan qualified as an Accountant and gained his MBA. Caroline Spelman MP is the Conservative MP for Meriden. Caroline was previously a CCF trustee and stepped down in 2010. She joined Parliament in 1997 as one of only 34 new Conservative MPs elected when she won the West Midlands seat and is now also serving as the Second Church Estates Commissioner. Lord McColl of Dulwich, CBE is a surgeon, professor and member of the House of Lords. Lord McColl was made a Life Peer for his work for disabled people in the Queen’s Birthday Honours in 1989. From 1994-1997 he was Parliamentary Private Secretary to Prime Minister John Major.